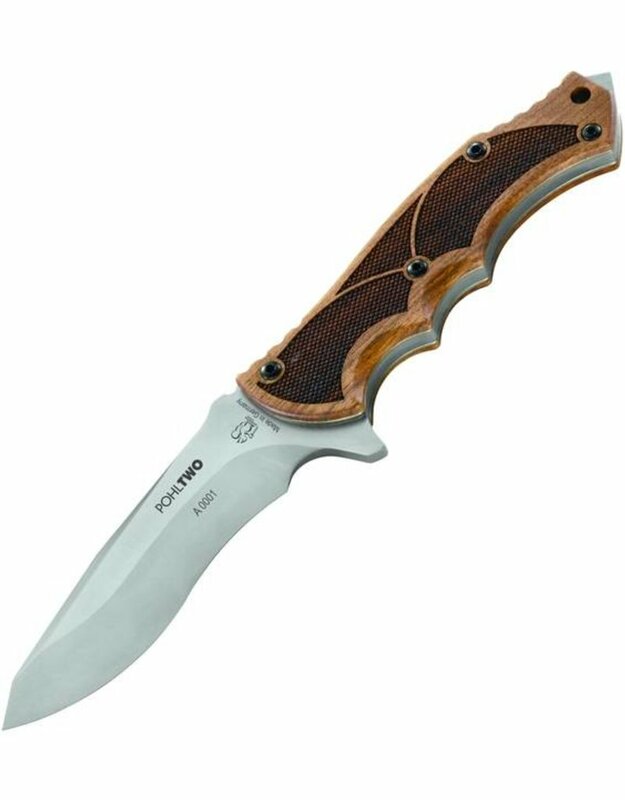 Designer Dietmar Pohl has developed the Pohl Two Wood together with the wood handle expert Wilfried Nill as a high-quality collector's knife. 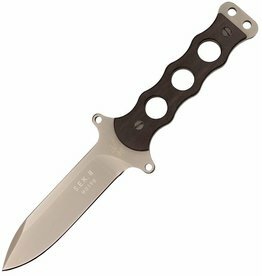 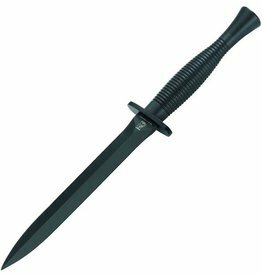 It is the fixed blade version of the famous Pohl One. 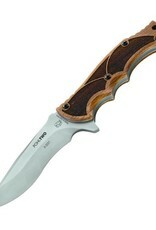 The knife, with a laser cut, Böhler Eickhorn Professional Steel Blade, has a satin-finish blade. 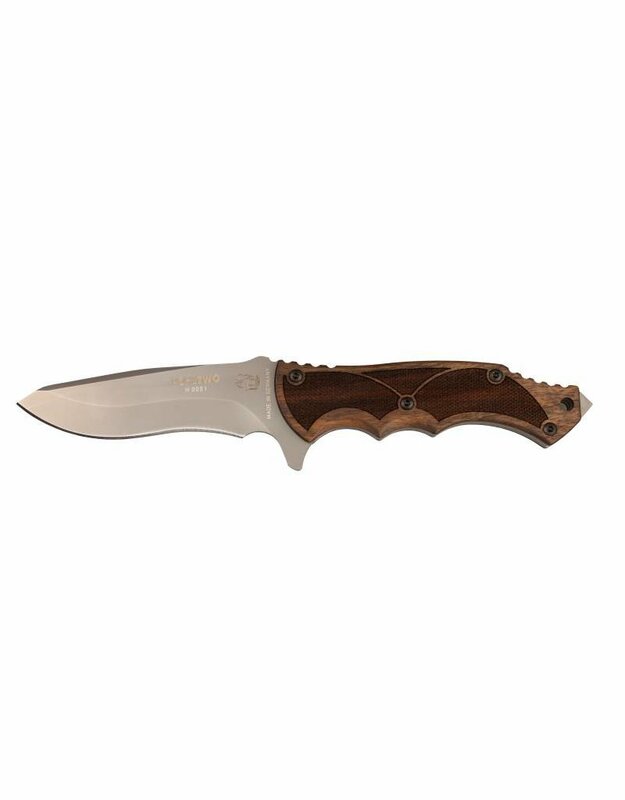 The handle, made especially for this knife by the Mössinger company Karl Nill, is made with Rhomlas structured walnut in unprecedented precision to avoid slips. 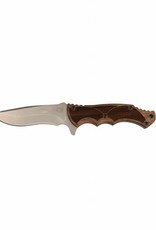 Stainless steel liners provided with golden tempering colours complete the knife for a visual eye candy. 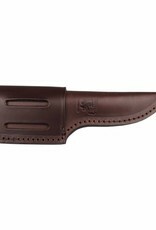 A noble piece for those who appreciate high quality Eickhorn knives. 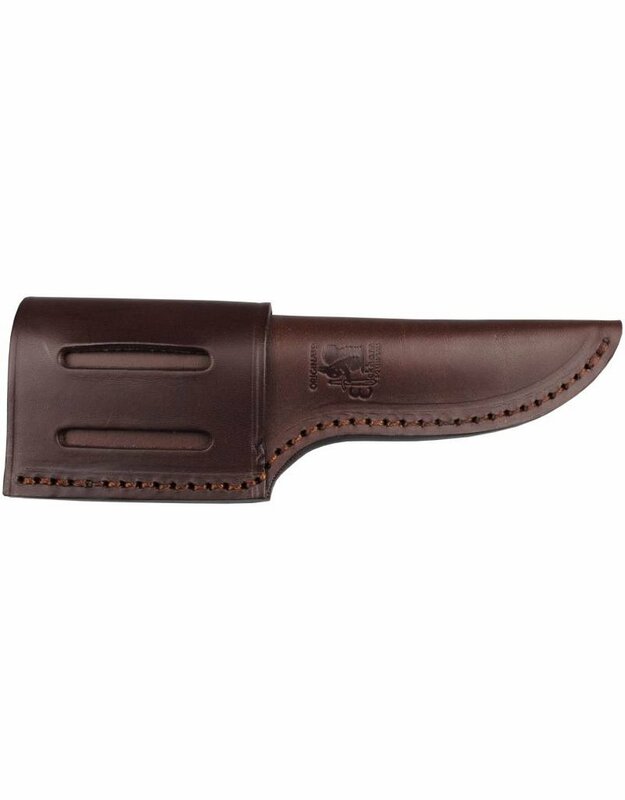 Matching the knife is a high quality brown leather sheath.